The BCE 8ft Black Balboa American pool table is a great quality pool table produced from oak wood with an attractive lacquer finish. It utilises a Speedball SupaSpeed worsted cloth, which provides responsive and rapid playing conditions with enhanced durability and performance, while the traditional drop pockets made from leather provide excellent durability. The table also has arched framing, beveled edges, detailed rail blinds, trim and molding. Additionally, it comes complete with inlaid mother of pearl diamond sites on the rails and diamond honed three-piece 1-inch thick premium slate. Comes with a Three Piece 25mm Precision Ground Slate Bed and Traditional Drop Pockets in Leather. Produced from Oak Wood with an Attractive Lacquer Finish. 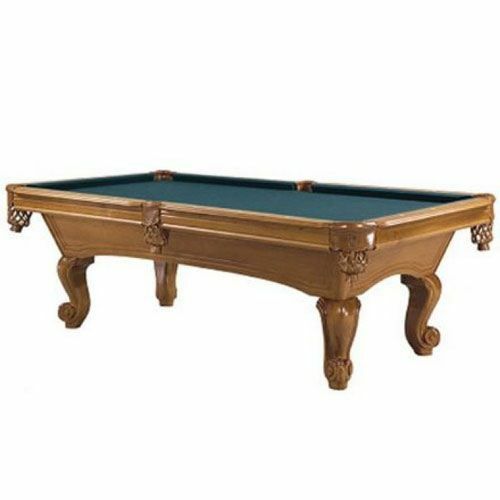 for submitting product review about BCE 8ft Black Balboa American Pool Table .